Just gorgeous - this sweet card is perfect for a special little girl celebrating her very 1st Birthday! 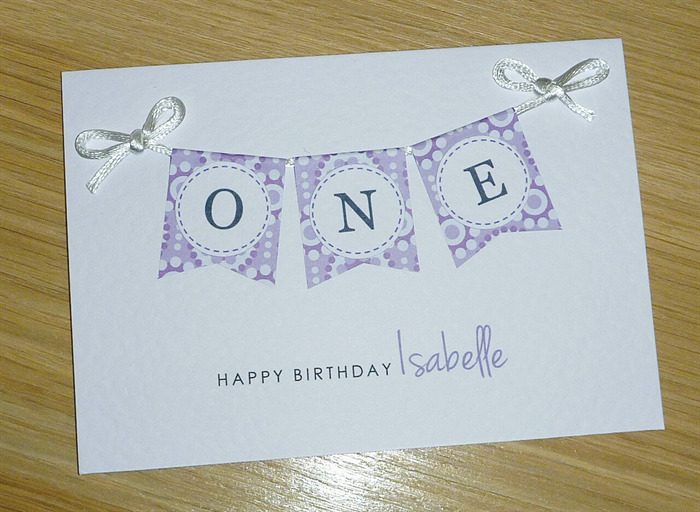 The white textured card features cute handmade bunting with the word ONE and a happy birthday greeting - a lovely keepsake card! 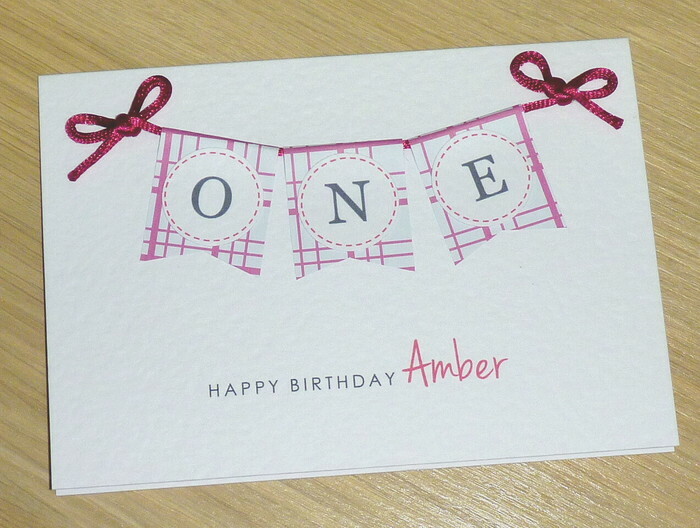 The card measures approx. 15cm x 10.5cm and comes with envelope and sealed in a cello bag. 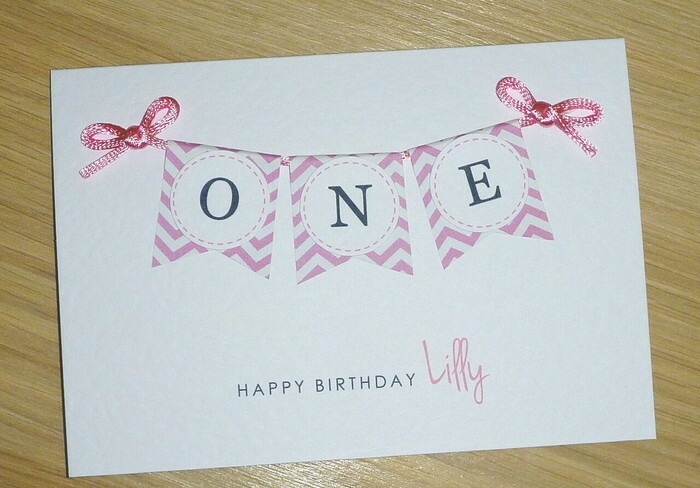 Please see my other listing if you would like this card in blue! 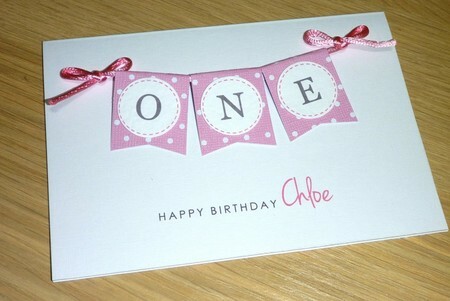 Can also be done for a second birthday with the word TWO - please send a message if you would like this option!